In my seasoned years, I reflect back and wonder how I managed to make it this far not knowing what I now know. I can say with confidence most of the readers can relate. The concept of prayer that was imprinted on me as a child was limited to a memorized prayer before meals and at bedtime. Prayer then later developed into asking for what I wanted and prayer was needed to deliver me from any of my uncomfortable experiences. When I was a young teen, life had become unbearable. My concept of an answered prayer was that someone would come down and swoop me up and save me. I found myself beginning to visualize what a perfect life would look like right down to the white picket fence in the country. I held that vision when I prayed, held the vision periodically throughout the day and held it close to my heart. My outside world had not changed, but I had begun to change inside. The prayer was answered, including a white fence that manifested as a white corral! I had no idea what I was doing let alone where the idea came from! When I was introduced to meditation in my late 40s, I balked in complete fear; my fear of meditation lay in the belief that I would be duped and lose my soul. The rebel part of me leaned into what the outer world warned me against. It was during this introduction of meditation that I began to feel a deeper sense of peace and self-worth. Intention came into my awareness a short time later, tying prayer and meditation into a perfect package. In 2000, my life took a major turn that set my ho-hum existence in a direction I could have never imagined. Everything I knew about prayer could fit in a thimble; meditation and intention even less. In the unfolding of life and learning, I discovered that I had been incorporating all three, and I knew more than I thought. I learned through my classes and by reading many books by world spiritual leaders that the word prayer is not used in the Bible but was a translation from early texts in the ancient Aramaic and Hebrew language meaning “commune.” Communing meant I needed to shut up with the endless requests and listen for a return reply. A beautiful relationship was rekindled reminding me of my teen years — asking for assistance to move through the experience, to be willing to ponder and allow for it to settle into your heart and then move into action. To be delivered isn’t a “get out of jail free card,” rather it is an opportunity to see the world differently. Prayer in its simplest definition is a petitioning. Meditation is to reflect upon and intention is your action plan. By blending all three: 1. you ask, 2. wait for an answer that may come through the act of meditation or other avenues, and 3. take action. Most people approach prayer, meditation and intention as separate practices, and /or have their own style of practicing. In the fall of 2015, one of my teachers and mentors, Dr. Michael Ulm, embarked on his continuing healing journey that not only changed his life, but the lives of many others. Dr. Michael Ulm, a remarkable healer in his own right and founder of All Light Ministries, enrolled in an extraordinary doctorate program. His dissertation, “Prayer in the 21st Century”: a research study to examine the effects of prayer, began in 2014 and was completed this past July. 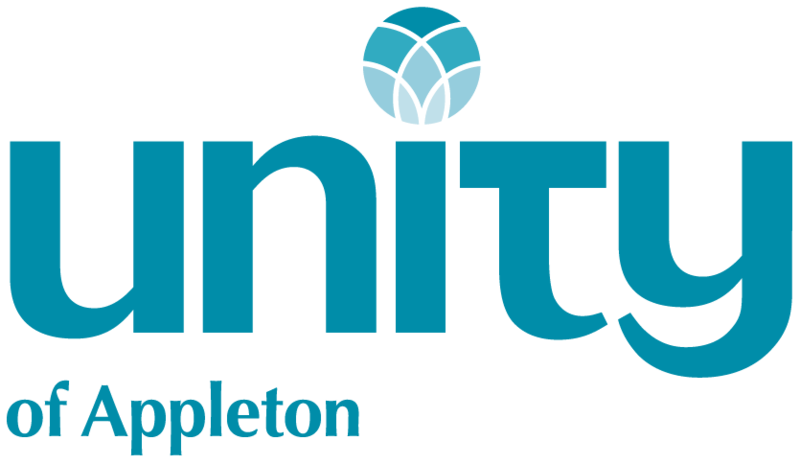 Unity of Appleton, Unity Church of Sheboygan and Unity of Eau Claire were active experiment participants in the dissertation either as community Prayer Agents or Prayer Recipients. In this experiment, one church group prayed for another group for one of several weeks. The groups picked one of three weeks to pray for the other group and then the Prayer Agents and Prayer Recipients were thoroughly surveyed before and after. The results are beyond anything the dissertation board or the All Light Healing Ministries could have imagined. Dr. Michael Ulm and I will be visiting these church communities in October sharing with them firsthand the results. We welcome everyone to join us in hearing the miraculous results prior to the publishing of these results later this fall. Dr. Michael Ulm will be speaking at Unity of Appleton on Sunday, October 29 with special healing services held October 28 and 29. Please visit www.unityofappleton.com or www.michaelulm.weebly.com to confirm times and location. Rev. Linda Ledbeter is a Healing Minister through All Light Ministries; Ordained Minister and Counselor through A Course In Miracles; Spiritual Response Techniques level 3; Healing Touch for people and animals; Reiki Master. Linda is an active member and committee chair and volunteers at Unity Church of Sheboygan. In the spring of 2017 joined the Board of Directors and committee for furthering education with All Light Ministries.